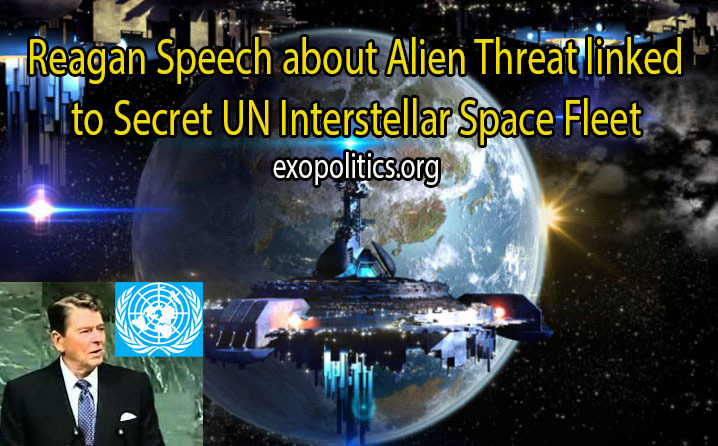 In other email interview replies, Goode added more details concerning the six years he spent on the science research vessel “Arnold Sommerfeld” that belonged to the Solar Warden space program discussed in one of his recent Gaia TV interviews. He described the propulsion system used on the “Sommerfeld.” In an earlier article I speculated that the name of the ship was due to it having something to do with Arnold Sommerfeld being one of the pioneers in developing “thought experiments” about time travel that later led to the idea of “tachyons” – faster-than-light particles. While Goode wasn’t sure why the research vessel was named after Sommerfeld, he did confirm that it uses a temporal drive based on “principles of Quantum Entanglement between certain isotopes.” Interestingly, these principles are also used for interstellar navigation. Finally, Goode replies to recent criticisms that the Blue Avian extraterrestrials are part of an MK Ultra Project Bluebird mind control program that he and other Military Abductees (MILABs) were subjected to. His response outlines the importance of not dismissing the testimonies of former MILABs merely on the ground they have been previously involved in mind control programs. Otherwise, this would act as a disincentive for other whistleblowers, that have also been subject to mind control in MILABs, to come forward. Goode’s point is a valid one. 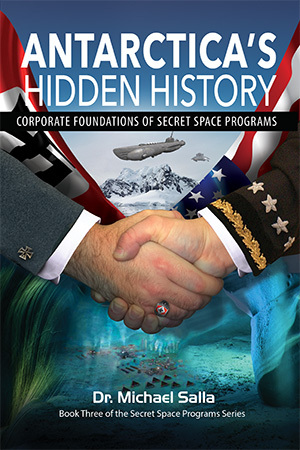 More whistleblowers need to come forward to reveal their personal experiences with secret space programs, not only to confirm Goode’s revelations, but also to confirm the roles played by former world leaders like Ronald Reagan in such programs. [Message from Corey Goode] First off thank you for your patience in waiting for my reply to these questions. All of the crazy occurrences on our trip home from Gaiam were very taxing. It took us a week to recover from the experience. We got home from our trip and we couldn’t get through the front door because someone had tried to force it in. The frame was cracked and had to be repaired. This happening right after other recent incidents caused my family some anxiety. I have had to take a break from the Internet for a short time as I have been overwhelmed with emails and interview requests. I haven’t been able to make a dent in my inbox because new communications come in as fast as I can read them. I am very happy that there is such interest in this information. I was told there would be when I started. I am still overwhelmed by the amount of attention this information has brought. Why an introvert (INFJ) would get stuck in a situation like this has me mystified. As you know my new Gaiam TV Sponsored link changed. I have a URL that points to the correct URL that will give me credit for any Gaiam TV memberships that people sign up with. The URL is www.BlueAvians.com. I think David already stated that the show has broken all Gaiam TV records. I don’t know if I will ever not be nervous on camera. I have not been a public type of person before so I have some adjusting to do. I served on one of the Research Vessels. In communications the Vessels were just known by their vessel designation and numbers. There was a painting and name plate for Arnold Sommerfeld in the Galley which I am told is some sort of tradition. The crew of this vessel were often rotated off in short tours or were stationed there but spent much of their time off the vessel on other projects. I would hear the crew refer to the “Sommerfeld” in relation to the vessel but this was not used in the communications between vessels or in documentation. The Sommerfeld had gone through a couple refurbishments and upgrades I was told when I first arrived. The two main propulsion systems were the Torsion Drive that works much like the Warp Drive on Star Trek and Electro-Gravitic Drives. There were also some of the original positioning thrusters that were all around the vessel that were tested from time to time but I don’t think ever really used. There were several ways they had for navigation both within our Sol System and while traveling to others. There was always some sort of redundancy in place to be able to locate the vessels that traveled outside of the Sol System in real time. They work on a principal that allows them to travel in subspace transporting a vessel from one point to another almost instantaneously. These “Jump Drives” are used to cross over and negotiate Space/Time and Time/Space in a way that does not involve traveling in our conventional way of thinking. These vessels are closely tracked and have temporal buffers in the technology that prevents the vessel from traveling back to our own Sol System in a different time frame. The QCCD (Quantum Correlated Communication Device) is a communication device that uses principals of Quantum Entanglement between certain isotopes (If I remember correctly) that allow devices to be able to communicate with each other no matter the distance in time or space. These are also tied into the navigation systems for tracking purposes. I am sure this is something that one of the current military intelligence level NEO (Near Earth Orbit) SSPs would like to be able to produce. Particle and EMF Drives have already been a part of our history. The technology we have now gives many in the earlier SSP’s the ability to hop around our Sol System and to other Stars rather easily. 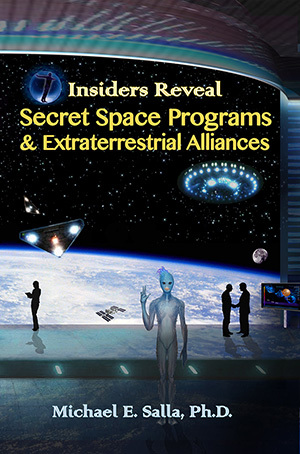 The technology reserved for the higher level SSP’s and some of the Secret Earth Governments and their Syndicates are so incredible that it even blows the minds of those in the mid to upper level SSP’s that have seen just about everything. You would hear of types or classes of vessels more than their designations. Of all of the times in the communications station I never saw a vessel referred to other than its designation such as “ISRV-004”. There was no less controversy inside the SSP Alliance rank and file. The majority of personnel come from the many programs that fall under the “MILAB” Umbrella. There are some people out there who consider all MILABS to be “Super Soldiers”. While there are certainly programs to enhance children mentally and physically to become elite soldiers they are not the largest or most prevalent of the programs by far. When the lower level personnel in the SSP Alliances began to hear about the Sphere Alliance they were nervous and skeptical. They had nearly all been brought up in one program or another from a young age and all had been forced to do things they didn’t morally agree with. When they heard that one of the Sphere Beings was a “Blue Avian” there was a time period where many of them were triggered and became extremely upset and there were even some isolated incidents of them acting out. If what I am told is correct and there will soon be more whistleblowers on some of the topics recently disclosed, then we need to deal with the blanketed “MILAB” term, create a new one or chance blocking the majority of the insiders who are on the fence right now about coming forward. We may soon get to a point to where the MILAB part of the equation is left out by new insiders or whistleblowers out of fear of being labeled as a mind controlled drone working for the “Cabal”. Are we going to throw out quite a lot of valuable data because a small group of bloggers, Forum Owners and researchers feel a need to protect their established views (Book narratives) and particular esoteric or UFO religions? Many of them are basing their info off of misinformation or even in some cases disinformation put out by people who are working in the “Truther” community (Which is extremely infiltrated and influenced). First of all the Sphere Beings and Blue Avians have never claimed to be the “RA” beings from the Law of One material. When asked if they were the RA from the Law of One material the Blue Avian present only responded “I am Raw-Tear-Eir”. People hear what they want to out of that reply but this is how the Blue Avians communicate. I nor they have ever claimed that these are savior beings. The opposite is true, they say that we have to clean up our own mess and save ourselves. I am no Law of One scholar by any means. I was not drawing the line from the Blue Avians communications to “RA” until I started speaking with David Wilcock. In the beginning I was guided to work with David but at the time I was sending emails to him and two other people David was busy. The other two ended up doing some very unethical things which were heavily documented and are now a footnote. I had a couple aversions to channeled material because of some technology I had witnessed that was used to transmit words and data into the mind of a human from a great distance with what was originally referenced to as “The voice of God”. This technology is now so prevalent that just about any high level black op’s group has access to it. This technology has been used to push people with mental disorders into certain behaviors, torture the new boyfriends of ex-wives to targeting people to make them think they are hearing “God”, “Allah”, “Virgin Mary”, “ET’s” or channeling large amounts of information from “Ascended Masters” or “High Density Beings”. I knew that some groups were ordered to read the “RA” and “SETH” Data while in the programs at the same time I knew many groups were working to discredit both works. For a time I just associated all of it in the same pile and ignored it. I never expected it to come seeking me in some form or another. I figured that since these Sphere Beings were from the same density realms as the “RA” that they must all believe similar things being from the same realm. I have ordered the RA, Law of One books but have been making excuses not to read them. My wife finished book one on our trip to Gaiam to do our last video shoot. I do think there was a reason I was directed to work with David. He is a 20 year scholar of the Law of One, lived at “L/L” for a couple of years. It has been very helpful to have his insight in these matters as well as all of the other scientific studies he has done. What does it matter if they were once the RA beings or not? What matters is what is occurring in the moment. There is no real information from the detractors that supports their claims of all of this info being an “AI Psyop” or “Cabal” controlled diversion. A quick look at the full history of the information I have released compared to what people are associating me with saying is enough to verify.